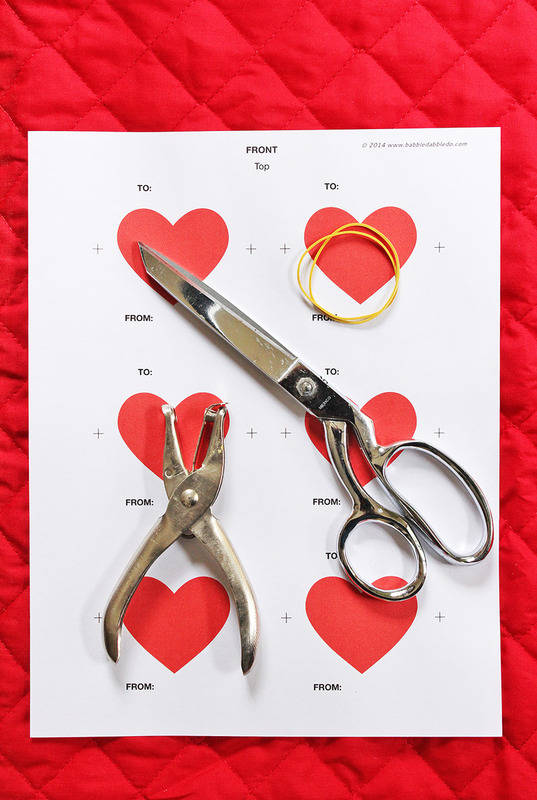 Looking for a printable Valentine’s Day card for your kids? You found it! I know the first thing that comes to mind with Valentine’s Day is science, right? Anyone…..? Bueller…..? Okay so maybe science and Valentine’s Day aren’t exactly synonymous but they just might be after this little ditty! I’ve been wanting to make a spinning disc illusion toy for some time and then realized we could have some Valentine’s Day fun with it. Step One Print out the front side of the Valentine. Flip over the page and print the backside. Make sure to orient the top of the back page to feed through your printer in the same direction as the front. 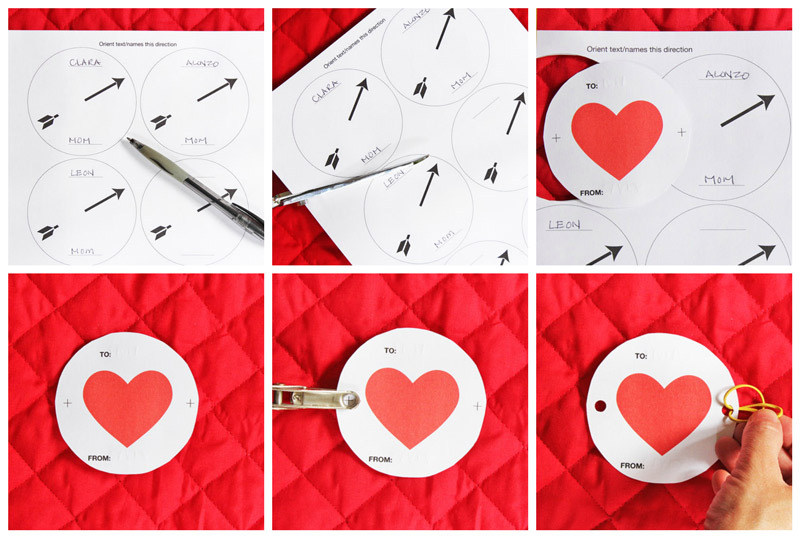 Step Two Write the names of the TO and FROM before cutting the Valentines. Be sure to orient the names in the direction shown otherwise they will be upside down! Step Three Cut out the Valentines. Step Four Punch a hole at the cross hair marks. Step Five Thread a rubber band through one hole and secure. Repeat for other side. You’re done! 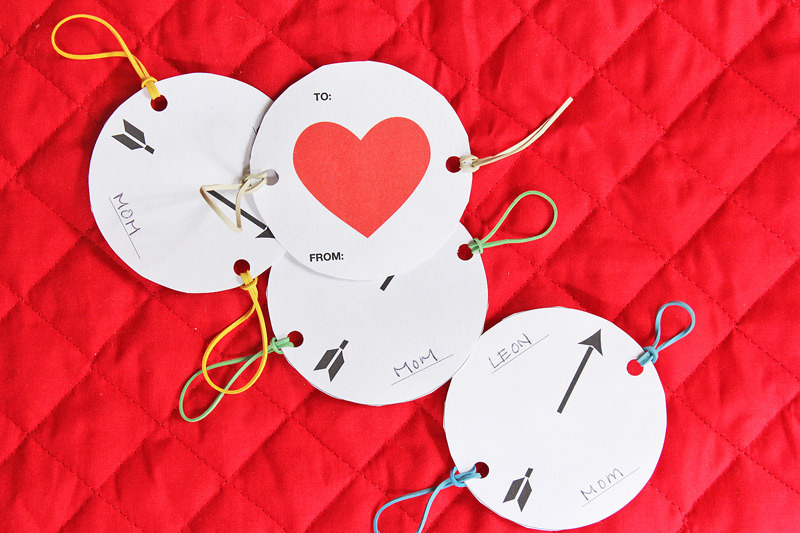 To use it, twist the rubber bands between your fingers and watch as the heart and arrow are combined! The TO and FROM will also be readable. These Scientific Valentines are an example of a classic optical illusion toy called a thaumatrope. 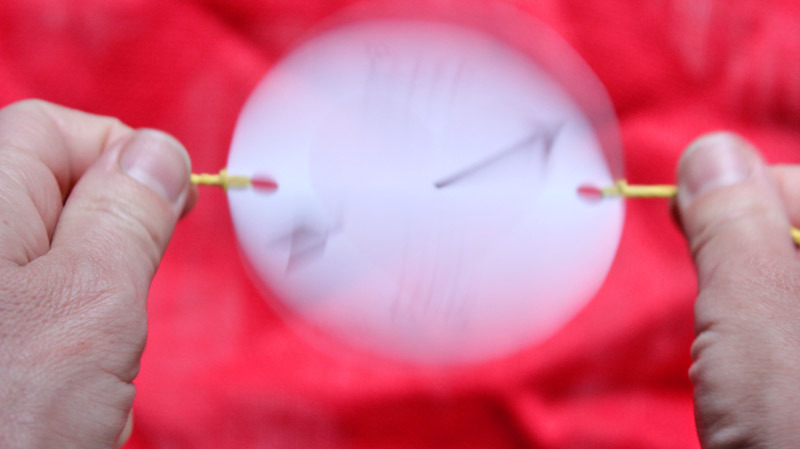 Thaumatropes demonstrate a phenomenon scientists call persistence of vision which describes how you perceive images flashed in rapid succession. You still see an image for a few moments after the image disappears because your brain needs time to process that image. Rapidly moving images cause the brain to create it’s own combined image which is what you see when you spin the disc! Persistence of vision is also how movies work! Films are simply a long string of still images flashed very quickly in front of the eyes. Your brain process them as moving images. Most movies are played at 24 frames per second, meaning there are 24 still images per second flashing in front of you. Our brains perceive anything from 10 frames per second and more as motion. This is also similar to what your brain does with the information it receives from each individual eye; it combines the view from each of your eyes into the image you actually see. Try shutting one eye at a time and looking at a very close object. You’ll notice that the view from each individual eye is different from the view you have of the object with both eyes open. The brain is crazy like that! M.C. Escher. What kid isn’t fascinated with M.C. Escher and his design work? I used to have several posters of his and would stare at them trying to make sense of what was going on. If you like optical illusions you must check out his work. Escher was heavily influenced by mathematics and geometry and his scenes show impossible constructions. They are a geeky architect’s dream! 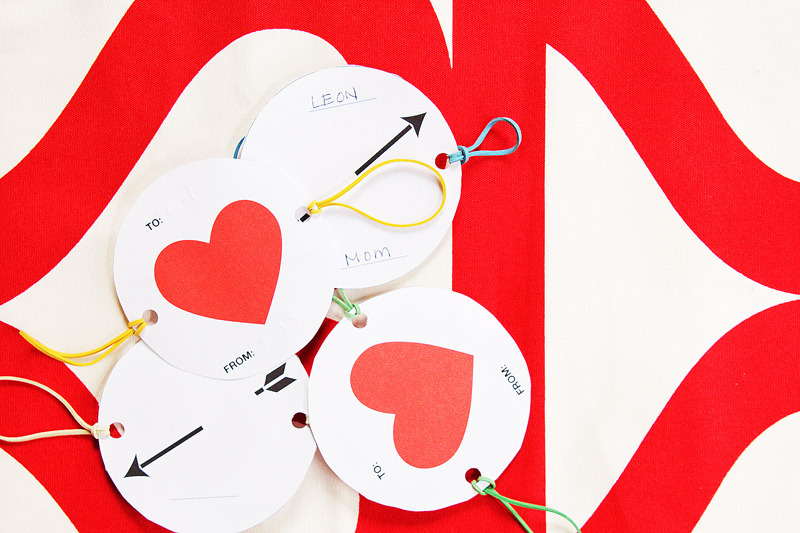 Did you really think I would let Valentine’s Day pass by without a Valentine’s project that incorporated science? I can’t help myself! This is a really fun little optical illusion your kids can impress their friend’s with. How COOL!! Seriously. You rock. And thanks for linking to our little sensory bottle! COOL use of this science, Bueller! … take the day off! Love this! I shared it on my Facebook page…always enjoy your posts! These are the coolest valentine ever. ever. ever. Seriously, so much fun.